After publishing and run your blog long time with free service from Blogger, Wordpress or other platform it is very important to go forward to the next step of your blogging career with a custom domain name/ top level domain. In this post we are going to discuss about definition, types and example about custom domain name. The custom domain name will make your blog more attractive, more professional and easy to remember your blog address. You should read our previous post about why you should use custom domain name? Learn How To Setup A Custom Domain In Blogger Blog? The custom domain name can be end with .com .net .org .info etc. Its totally depend on your choice. The .com and .net domain suffix is very popular. READ: How To Optimize Images For Better SEO? This types of URL or address called subdomain. You can also get your own branded subdomain and professional look Email ID with your own custom domain name if you have a custom domain with a hosting package. That’s all about Custom and Subdomain. Hope you understand. Now let’s see how a domain works? How does a Domain work to show a website or a blog? Whenever visitors type your blog address into a browser it connects your domain name system (DNS) and find your website’s TCP/IP protocol suite where it is hosted. And then it shows into your web browser. Actually, domain name is another face of your IP number. Example: Type this IP into your browser 173.194.66.105 and hit Enter, what you are seeing? Google! Yes you are right. Its Google’s IP. The Google converted their site hosted server IP to www.google.com for looking beautiful and of course for remembering easily. The custom domain name is very cheap, only $ 5-10 per year. My personal suggestion is, If you are a fresher blogger it is not necessary to do blogging with your own custom domain name for at least 6 to 12 months. First practice, learn something new and update your site, then think about top level domain and hosting. Note: Our this blog is hosted on Blogger and earlier URL was shinemark.blogspot.com. 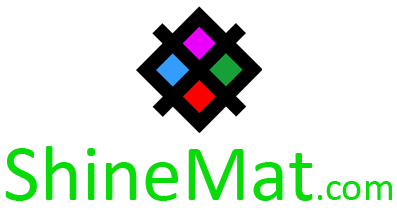 On 4th March 2012 we successfully shifted to www.ShineMat.com as our custom domain name. That’s All Friends! Don’t forget to leave your valuable comment. A custom domain name suffix, or custom TLD, is a top-level domain (TLD) name that belongs to a single organization. The TLD is the last segment of the domain name, the letters – such as com or net.